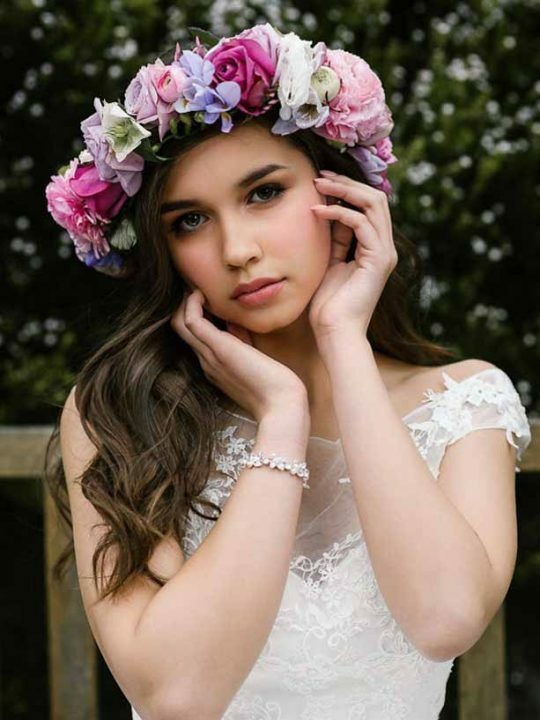 The Sydney Bridal Bracelet the divine wedding bracelet that you have been looking for. 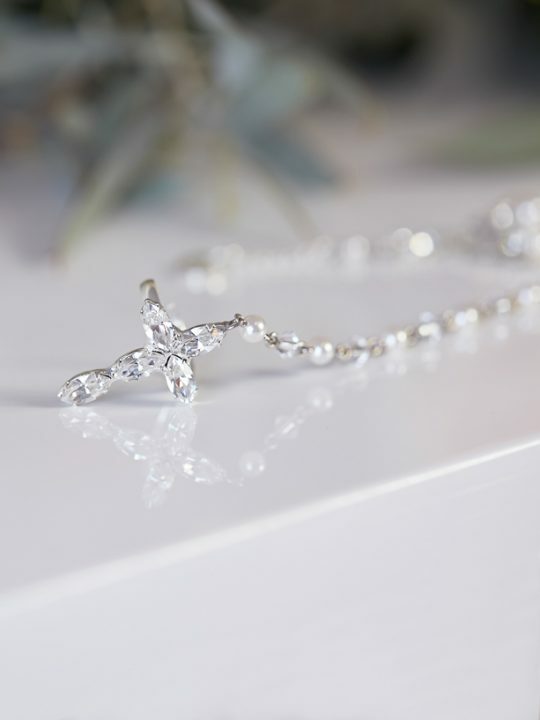 The rose and leaf settings with delicate chain bracelet are a fresh take on a classic design will be loved by any bride. Try the Rose Gold for a fresh take on a classic look. 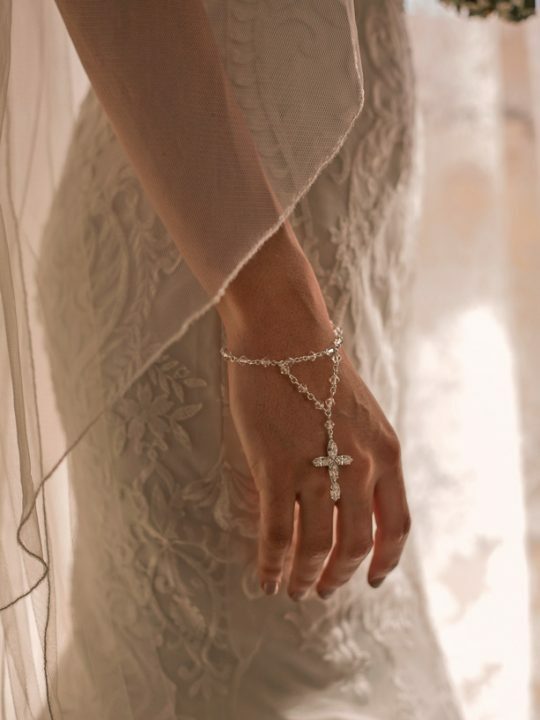 Every bride needs the Sydney Bridal Bracelet to complete their wedding day ensemble. 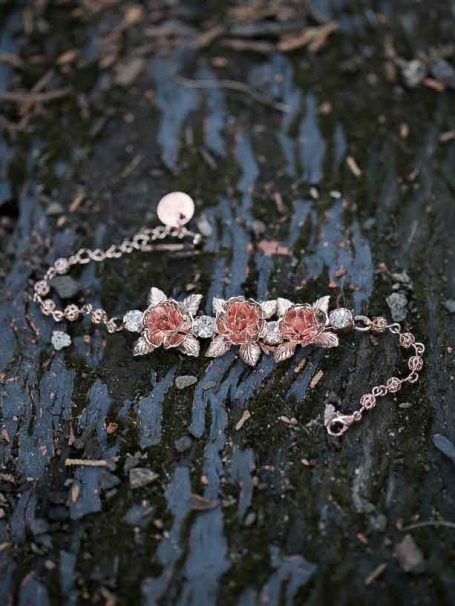 The fresh flower theme flows through with the three floral settings and adjustable bracelet chain. 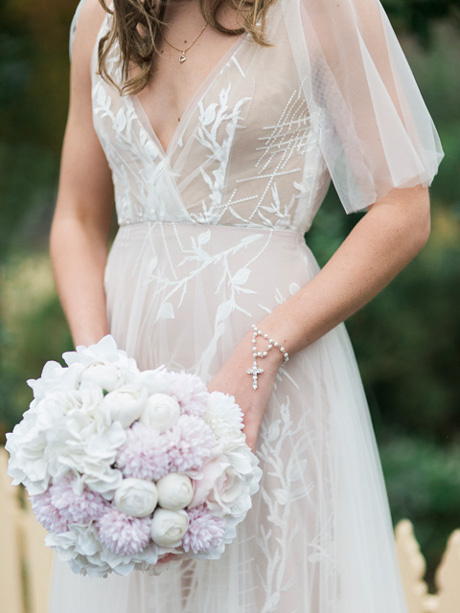 Wear it loose for a less structured, free spirited bridal look. Or tighten it for a chic, no jingle, no hassle look. But no matter how you wear it, the Sydney Bridal Bracelet is Opera House of bridal bracelets. 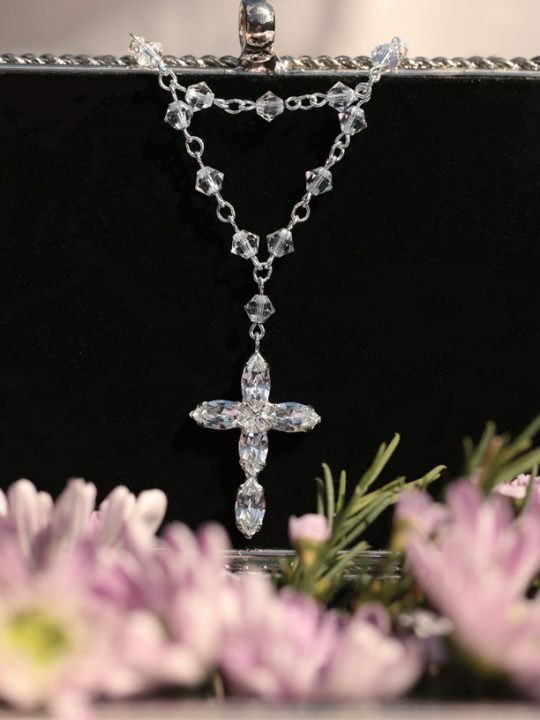 Traditional and modern combine to create this stunning bridal accessory for the classic bride. Size: Flower design is 1.5 cm wide and length is 21cm long including 5cm of adjustable chain. The bracelet will be packaged in our signature pink silk Hello Lovers box. 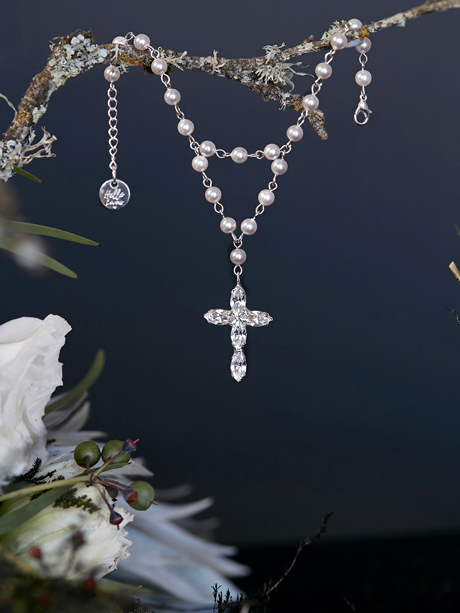 The Sydney range offers a number of matching pieces, consider the Sydney Bridal Necklace and the Sydney Bridal Earrings. But beware, you might get more than a few jealous stares – that’s kind of what being a bride is about, right? Made in Australia by Hello Lovers. Bridal jewellery hand crafted for your wedding day or everyday. Also an exclusive range of lace wedding dresses made from fine bridal laces in the boho bridal gown style.